﻿ Gary Neville: "Cristiano Ronaldo has changed the way I see football"
20.11.2012 » Gary Neville: "Cristiano Ronaldo has changed the way I see football"
In an interview granted to the "Daily Mail" just a couple of days ago, Gary Neville has talked in detail about his good old friend Cristiano Ronaldo and there were certainly many interesting revelations bursting out from this talk. The now retired footballer admitted that those years he played with Ronaldo at Old Trafford were enough to completely change his way of seeing football. Manchester United former legend, Gary Neville, has agreed to concede a full analysis on Cristiano Ronaldo this past weekend, on which he didn't leave anything left to say. 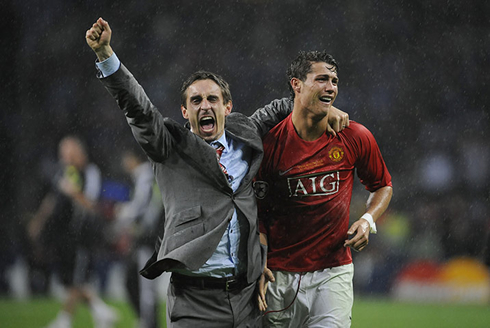 The interview was granted to the British newspaper "Daily Mail" and Neville talked about Ronaldo's first years in Manchester United, his development as a football player under Sir Alex Ferguson protection, until the all-round athlete he turned into nowadays. The 37-years old retired right-back has also confessed that his experience with Ronaldo in United has forced him to look at football in a different way and believes that the Portuguese player remains being idolized by Manchester United fans. 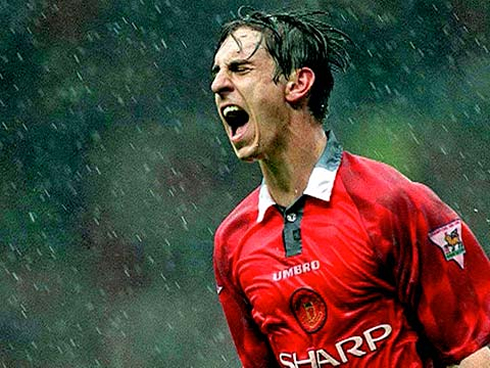 When Gary Neville's name is spoken at Old Trafford, two words can immediatly be associated to him for everything he has done for the club: legend and loyalty. 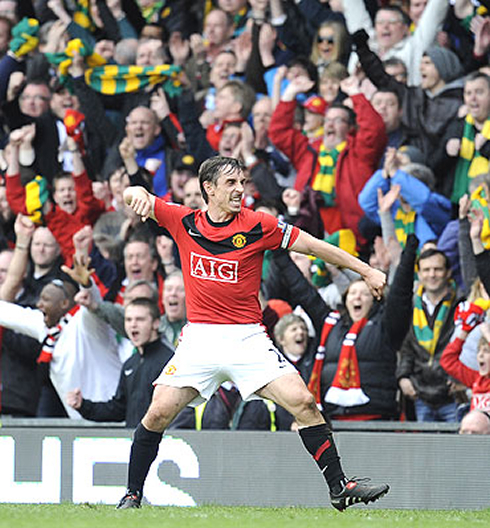 Neville has played his entire career in Manchester United, as he debuted in 1992 and retired recently, in 2011. From his coach Sir Alex Ferguson, he received one of the best praises he could ever get. 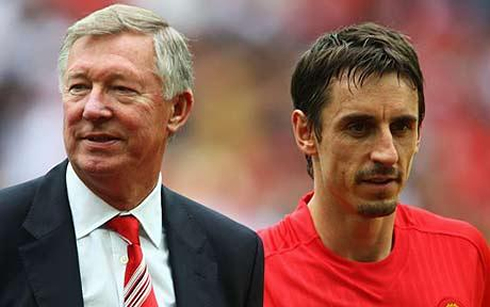 Ferguson: "Gary Neville was the best English right-back of his generation". 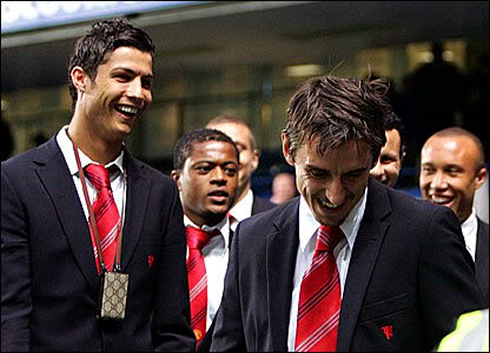 Gary Neville: "I will never forget returning from a game we had against Charlton, just some time after Cristiano Ronaldo had signed for Manchester United and thinking to myself: 'Do you know what? I better just give up on him. He had been flailing around on the ground, he got into his proper position and he was unreliable all the time'. I had the chance to play with the likes of David Beckham and Ryan Giggs, world-class players who worked up and down and did the ugly part of the game, but playing with Cristiano Ronaldo was a constant frustration! ", started by referring Gary Neville. Neville: "He could go wandering off to the left, to the right, up the middle, but he was inconsistent and that would end costing us. I remember seeing Ronaldo giving the ball away at Chelsea, in the José Mourinho era at the Bridge, and Chelsea scoring from that play. He would win us a match, but then we wouldn't see him stepping up in the following game. I still remember snapping at him and going crazy once, when he tried to over-complicate right in front of goal, with some back-heel flick, rather than a sidefoot to finish. We were already winning 3-0, but that wasn’t the point. I yelled at him: 'What the hell are you playing at? That’s not what we do here. '", revealed the 37-years old. It's no news to anyone that Ronaldo's first years in England weren't anything near easy and if there's a man who deserves credits for having believed in the Portuguese youngster talent, that man was Sir Alex Ferguson. 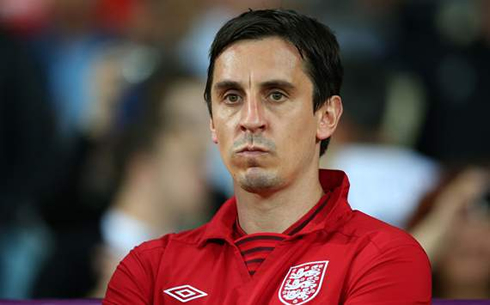 Gary Neville: "My patience was wearing thin, as was the other players. We didn't wanted him out of the team or the club. But we were all like: 'When will he learn? When is he going to understand the English game?' Thankfully, the experience of Sir Alex Ferguson meant he never lost patience with him. He always went with Ronaldo and protected him at all costs", stated Neville. If there's a turning point in Ronaldo's career, many believe to have been that 2006 Summer, right after the World Cup and that incident with Wayne Rooney. During the pre-season, the skinny boy was no longer a boy, as he seemed to have grown up during vacations, clearly buffed up and with a stronger and more determined attitude in the club. 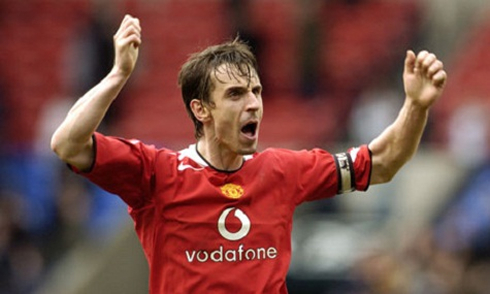 Gary Neville: "And then I remember when he came back from the 2006 World Cup in Germany, after all that controversy with the Wayne Rooney red card. He walked into the dressing room and I immediatly thought: 'What has happened to him over the summer?' When he had come to the club he was this thin, wiry boy. Now he was into a light-heavyweight category. He has probably been on the weights during the whole summer and it was like watching someone grow up in a matter of weeks. What then happened for the coming two years was simply astonishing." 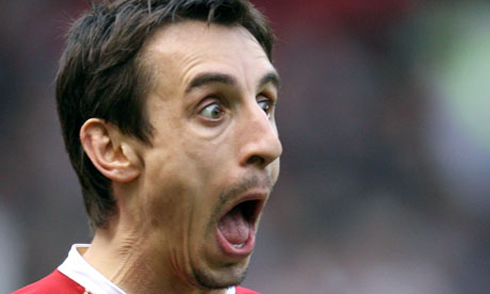 Neville: "I can’t believe anyone has ever seen anything as extraordinary in the English Premier League. I know we have had great players like Thierry Henry, Eric Cantona and Gianfranco Zola, and perhaps Thierry Henry in his prime came closest, but for two years (2006-2008), Cristiano Ronaldo was a player on a different level, by far the best in the World. He would prey on the weak. He is an absolute bully, as Maicon probably found out when he played for Manchester City in the Santiago Bernabeu earlier this season. Ronaldo sniffs blood and he will find the weakness in the back four. If he's not getting the left-back in the first 15 minutes, he'll switch to the right-back. If he's not getting the right-back, he'll switch to the left centre-back. He'll find someone in your back four who is weak and doesn't like defending one on one situations, against pace and power. Cristiano Ronaldo's skill, strength and speed were incredible. I had played with some great players in Roy Keane, Ryan Giggs, Paul Scholes, David Beckham, Eric Cantona and Mark Hughes. 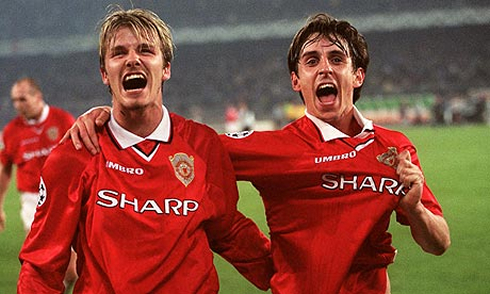 Because of their longevity at the club, they may be ranked above Ronaldo as Manchester United greats. But no one was a good as Cristiano Ronaldo in that two-year period (2006-2008)! ", claimed the now SkySports commentator. 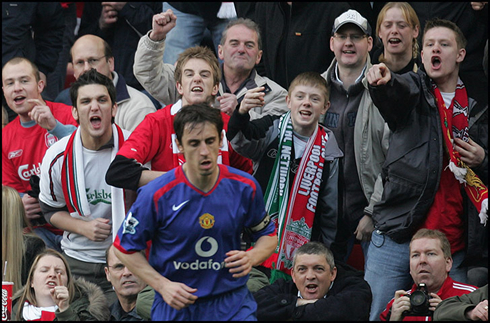 Gary Neville: "I was injured for the 2007-08 season, when Manchester United won the UEFA Champions League, so I've been in the stands that year for many of the games. I remember thinking: 'How could it have been better watching George Best?' I've never saw him playing but I thought: 'If it was anything like this we're seeing with Ronaldo, then I understand why people are still talking about him.' And no one can tell me Ronaldo isn't brave, by the way! No one can tell me that he's soft. He wouldn't hide in games, even though he knew that the first thing every team wanted to do, was to leave one on him. Yes, he went down too easily at times, especially in his fist years in England. But if he had a very tall defender bearing down and about to take his knees out, he was told by his teammates and the manager himself to stay away from those challenges, because we didn't want him to get injured. Just look at the header goal he scored in Roma, back in 2008. He was laid out by the defence as he attacked the ball. You don’t score a header like that unless you're one brave athlete. That was in the mould of Frank Stapleton, Joe Jordan, Andy Gray or Mick Harford. 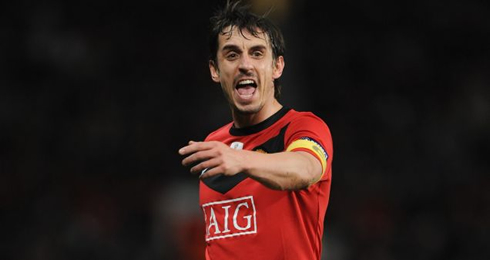 He’s not some soft flaky character, he’s a hardened player", remarked Gary Neville when defending Ronaldo from the critics that have pointed him as not being a brave player. 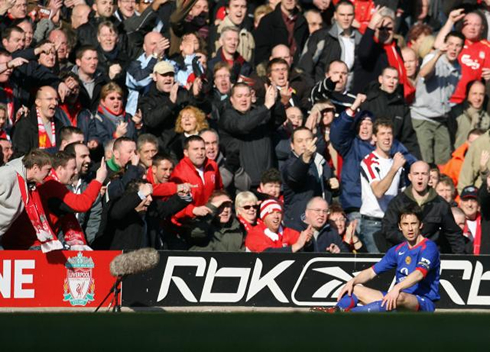 Neville: "It got to the point that as right-back in that 2006-07 season, I never complained if he could go off for 30 minutes and leave me constantly with two on one situations. He completely changed my opinions about the game! I'd always been taught that I must have a right winger in front of me, but I knew he'd go and win us the match. Darren Fletcher used to say that we'd have to work around him, because he would always do more harm than the opposing players he was leaving free when he stayed upfront. As a 27-year-old at the time, an experienced figure, I was expecting to tell this 21-year-old how things rolled in football. But he was telling me something completely different. I had been playing with my blinkers on for years, but Cristiano Ronado made me open my eyes to different ways of playing the game! ", admitted Manchester United former right-back, when disclosing that playing with Ronaldo allowed him to start looking at football in a total different way. Neville: "I'll never forget coming in training one day, when the session was eight hard runs but, for the last two, he seemed to be taking it easy. Ronaldo simply said: 'Too much water kills the plant.' Even today I remember those words. I had always been brought up to believe that every single minute of every day was a fight and that you had to battle continuously, even in training. I'm not saying he didn't train hard, because he did, but he would always train with efficiency. If there were eight runs and he had done six well but felt that was enough, he would do the remaining two at his own pace. He knew his own body. So who was the wise one in this situation? All the premeditated tactical theories I had learned about getting and staying in your shape, and tracking back with your runner, all the things that had been drummed into me, were thrown out over those two years because we had a player who could make up his own rules with the blessing of his team-mates. Cristiano Ronaldo has helped to redefine the game by creating a new breed of flexible forward! 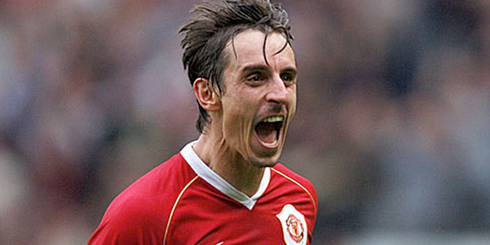 ", praised Gary Neville during his interview to the "Daily Mail". Neville: "In that 2008 team with Paul Scholes, Wayne Rooney, Ryan Giggs, Carlos Tevez, Nani and Ronaldo, our forwards players could be anywhere in that front line. No one could say before the game that they were playing against A, B or C. It was a different way of playing and understanding modern football. Cristiano Ronaldo has always been fascinated with becoming the best player in the World. He would have no concerns about telling us in the dressing room or the media that achieving that was indeed his goal. In England, that kind of ambition can be drummed out of you, because the team ethic is so important, sometimes we stamp on such individualism. But what's interesting is that he believed in the team ethic. He also believed that the team would be better if he'd become the World's best. You would always say individual honours aren't important, but with Ronaldo it was different, because they were to him. He wanted the medals on his chest and he would get angry when either he or the team weren't performing to that level", commented United's legend, when referring to Ronaldo's ambition and determination in becoming the best player in the World. Gary Neville: "But again, Cristiano Ronaldo changed my way of thinking. He showed it is possible to accommodate that kind of individual ambition within a team and marry the two together. To be able to leave Manchester United in his prime and still have his name sung by the fans, tells you something... On Wednesday night, he will be at Manchester City, his first return to the city since leaving Manchester United. While he may receive the kind of stick reserved for former United players everytime they play against City, everyone in that stadium, including me, will be thinking: 'I'm watching Cristiano Ronaldo tonight!'. If you’re a kid, it will be a reference point, something to talk about when you're older. But, to be honest, for anyone who appreciates football, it must be a privilege to watch one of the greatest players of all time! ", concluded Gary Neville on his interview to the "Daily Mail", as he ended up ranking Cristiano Ronaldo among the greatest names this sport has ever seen. Cristiano Ronaldo next game for Real Madrid will mark his return to Manchester, to face Manchester City for the UEFA Champions League, next Wednesday (21-11-2012). You can watch Juventus live stream, Manchester City vs Real Madrid, Spartak Moscow vs Barcelona live, Galatasaray vs Manchester United, and Arsenal vs Montpellier, all matches provided from our live soccer section.